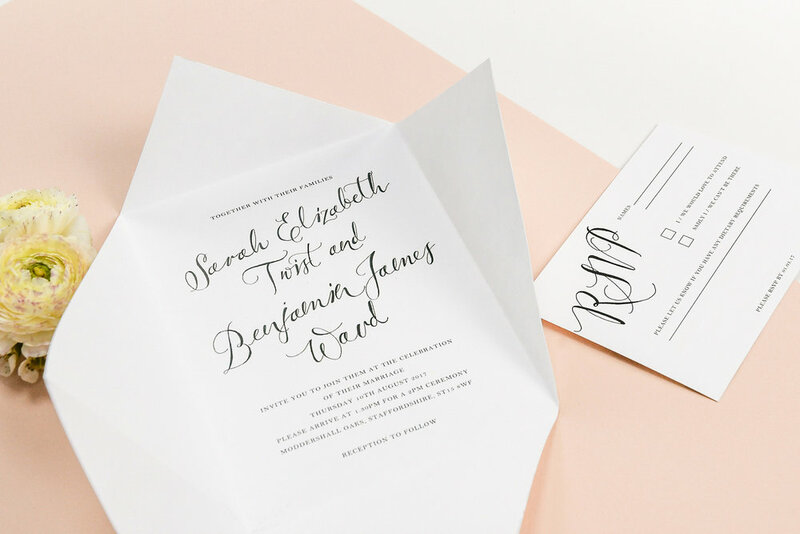 A clean and crisp folded invitation inspired by the gypsophila bridal bouquet. Layers of gypsophila were overlaid in silhouette and screen printed in a metallic ink onto crisp white card. These were supplied with grey handmade envelopes each with a screen printed calligraphy motif on the flap. © 2018 Something Made. All rights reserved.